He starts shooting a new sci-fi movie next month, directed by the great Claire Denis. At the 2017 Cannes Film Festival, French maestro Claire Denis presented her new film, Let the Sunshine In, and it left audiences swooning in its wake. Yet this wasn’t the film that has been the topic of fevered conversation for the last couple of years – more something she did while waiting for her massively ambitious sci-fi project, High Life, to come to fruition. The cast for this proposed genre epic has been locked and loaded for a while now, with Patricia Arquette, Mia Goth and Robert Pattinson all signed up and raring to go. Pattinson in particular appears to be on a major roll at the moment, working with some of the worlds best (if not most commercially-minded) directors, and delivering exceptional work for all of them. It comes as little surprise that Denis would be on his world auteur bingo card, and it seems that she’s got just the right project for him as a starring vehicle. High Life, whose script boasts the involvement of novelist Zadie Smith, is being pitched as a cerebral sci-fi about a ship hurtling towards a black hole. We’re guessing that it will cleave to convention in the same way that her singular Trouble Every Day, from 2001, did to the traditional vampire movie (hint: it didn’t at all). Via our friends at The Film Stage, they unearthed this little gem from an interview Pattinson gave to Cahiers du Cinema while in Cannes with some tantalising details on High Life’s plot and themes. Yep, you read that right, “sexual experiences” in space. It’s going to be a mad one. And with shooting starting imminently in Poland, here’s hoping that it’ll be ready for Cannes next year, and festival director Thierry Frémaux won’t have developed some meagre excuse not to have it front and centre of the main competition. Meanwhile, Let the Sunshine In opens in France this October, and will hopefully make its way to the UK shortly after. Read our first-look review from Cannes here. 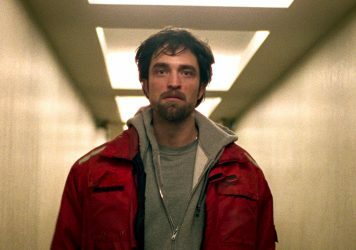 Robert Pattinson slays it as a petty hood on a downward spiral in the Safdie brothers’ ace crime thriller. 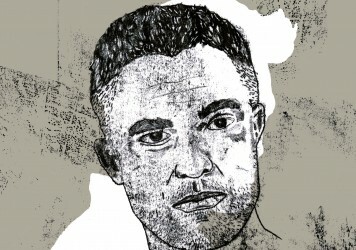 The Rover star reflects on his swift transformation into an actor who's always up for a challenge. The art of flirting and flirting as art are the subjects of this extraordinary romcom from Claire Denis.